The Sungai Liang Industrial Park (SPARK) is one of the BEDB's key initiatives in accelerating the nation's economic growth and expanding the employment opportunities for its people. Strategically located beside Brunei's well established oil and gas industry, this 271-hectare site is ideally positioned to flourish as a world class petrochemical hub. Aptly named SPARK, the Sungai Liang Industrial Park was initiated by the BEDB in its efforts to extend the value chain of the oil and gas industry in Brunei Darussalam. As home for petrochemical investment, SPARK will offer its tenants accessible, high-end facilities and extensive infrastructure in a business-friendly environment. Pulau Muara Besar (PMB) is an island strategically located in Brunei Bay next to Muara, Brunei's principal port, making it an ideal site for a deep sea container port. Seeing the opportunity to meet the growing transportation needs of the country and the region, His Majesty's Government reserved a 955 hectare site on PMB in 2003. The potential extends much further. A manufacturing complex for major industries including an aluminium smelter and an export processing zone for halal food are among other medium to heavy industries within the plans for the PMB project. WHY INVEST IN PORT AND LOGISTICS AT PULAU MUARA BESAR? The BEDB is working towards the development of a world class deepwater container port and a dynamic logistics and manufacturing hub, to be located on a Greenfield island site known as Pulau Muara Besar (PMB) opposite the existing national port. PMB will be developed in phases, with the first phase of development being the construction of the deepwater container terminal facility that will be operated by Philippines-based International Container Terminal Services Incorporated (ICTSI). To complement the port's activities, there are plans to house logistics and warehousing services adjacent to the quay. With its unique settings and strategic location within the Borneo and BIMP-EAGA region, PMB will be developed to become the region's leading logistics hub for the movement of goods, as well as the gateway to access and serve millions of people in the BIMP-EAGA region. 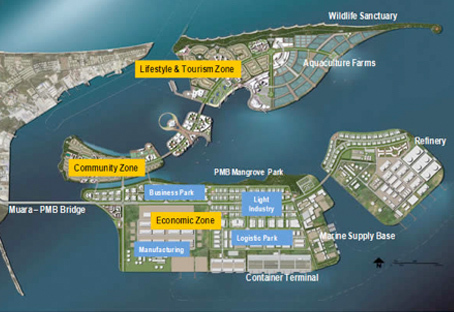 And the BEDB's plans for a multi-phased development of the island, integrating an economic development zone, a community zone and lifestyle zone, mark PMB as the next centre of opportunity for Brunei Darussalam. Basic infrastructure and utilities will be provided on the island to ensure that investors will be able to optimize their setting up time. Several investment incentives are also in place, which provide a conducive business environment such as tax exemptions for qualified industries. Port Construction ? Opportunity to participate in the construction of the port facilities at Pulau Muara Besar such as the container terminal, administration building and berthing area either through tenders or public private partnership. Industrial Development ? Investors are welcome to set up their industries in manufacturing, logistics, aquaculture, Halal Food Processing, Shipyard, Oil Refinery and Storage on the island. Infrastructure development ? Opportunities to participate in the infrastructure development such as construction of the bridge from mainland to PMB, roads and utilities such as power, water and sewerage through public private partnership or tenders. Urban development ? Investment and construction opportunities in property development; residential and commercial buildings as well as business parks to create an integrated island and robust environment. 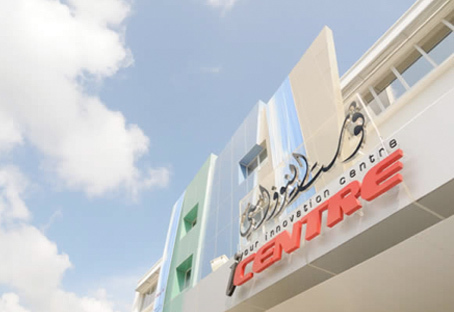 The iCentre, Brunei Darussalam's first ICT incubator, is the first phase of the Business and Technology Park that the BEDB is developing to support local business and technology development. At the iCentre a number of bright young entrepreneurs are developing innovative ideas helping to bring Made-in-Brunei technology overseas. Current projects in development at the iCentre include mobile communications content and software, barcode and Radio-Frequency Identification (RFID) applications, software development and public portal development. 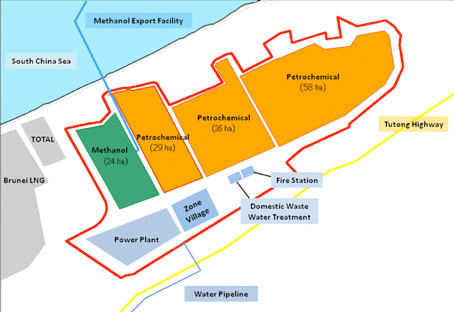 Brunei's Government is committed to the development of the petrochemical industry within the country and is demonstrated through the development of the Sungai Liang Industrial Park (SPARK). In SPARK, the Government has invested in and developed a ready-to-use industrial park, ideal for petrochemical and supporting industries. Strategically located next to Brunei's well-established oil and gas industry, this 270 hectare site is ideally positioned to flourish as a world class petrochemical hub. SPARK is administered by the Sungai Liang Authority (SLA) to support the development of a globally competitive industrial hub, through a streamlined administrative process (single-point access), centred in a business-friendly environment. WHY BRUNEI DARUSSALAM FOR YOUR PETROCHEMICAL INVESTMENT? Brunei is known for its oil and gas resources, being the 4th largest oil producer in ASEAN and the 9th largest exporter of LNG in the world. Brunei's well-established oil and gas industry dates back 80 years and forms an ideal foundation for further downstream development, making Brunei the perfect location for your petrochemical investment.